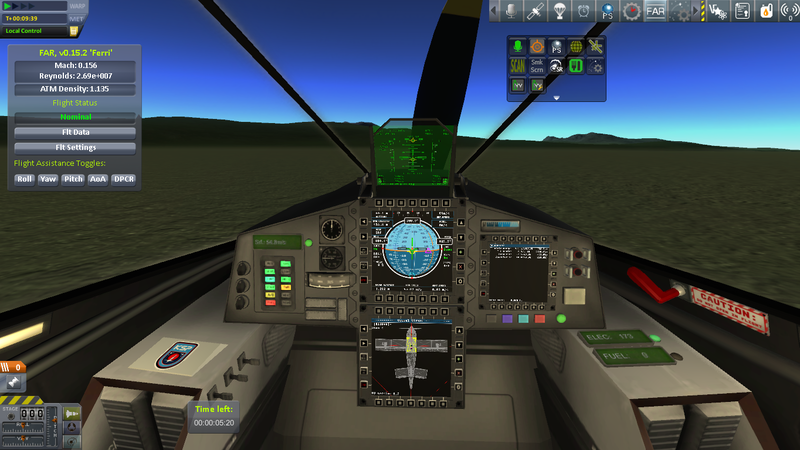 It's still in test phase using the simulator provided by Kerbal Construction Time, because just adding a few science-devices and an antenna make the thing spin out of control, so more investigation will be needed. 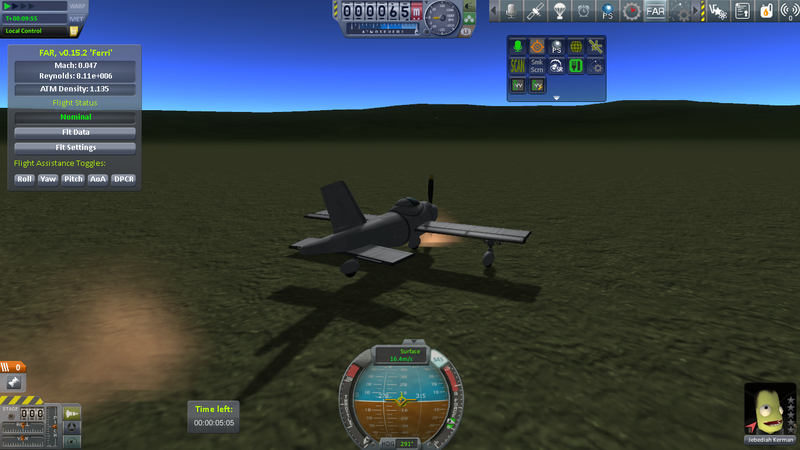 But it flies, and even can be landed, so congratulation to our engineer Bill Kerman for a wonderful job. Note: I'm using Real Fuels for this. 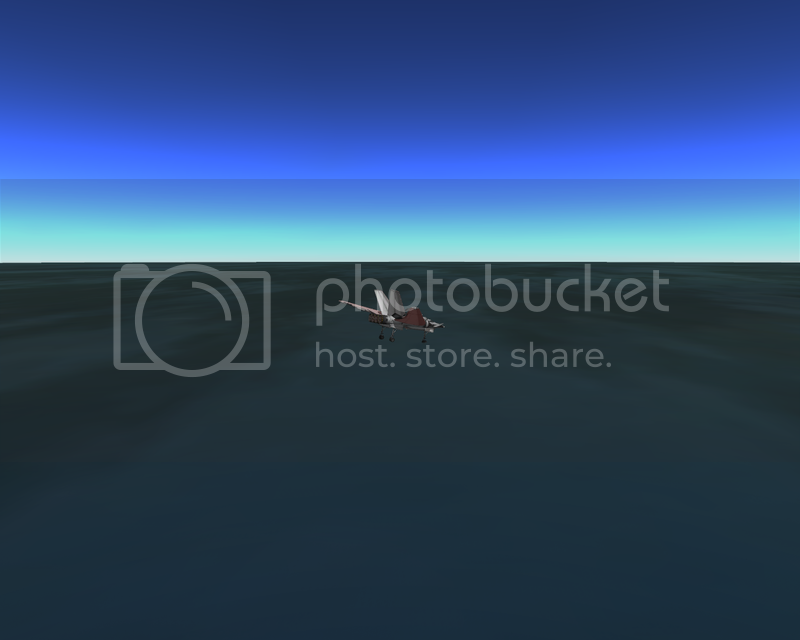 so the plane was running out of fuel just after taking off. 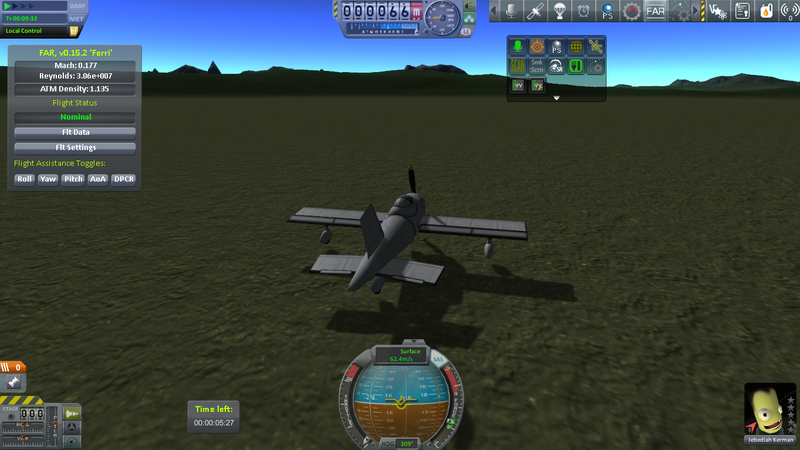 but then I forgot to add power so my plane was incapable of doing anything. Finally, as you can see here, everything is fine now. are capable of touching the ground both at the same time now. of reduced size. All thanks to Tweak Scale. It is not the most beautiful ship ever but it does the job. Flying over the island runaway, a place I love to visit from time to time. In this ship is very easy to turn thanks to the fact that it tends to go up. I love that you can see the wings from the cockpit, here and in DCS too. A few seconds before touch down. Everything seems fine for now. 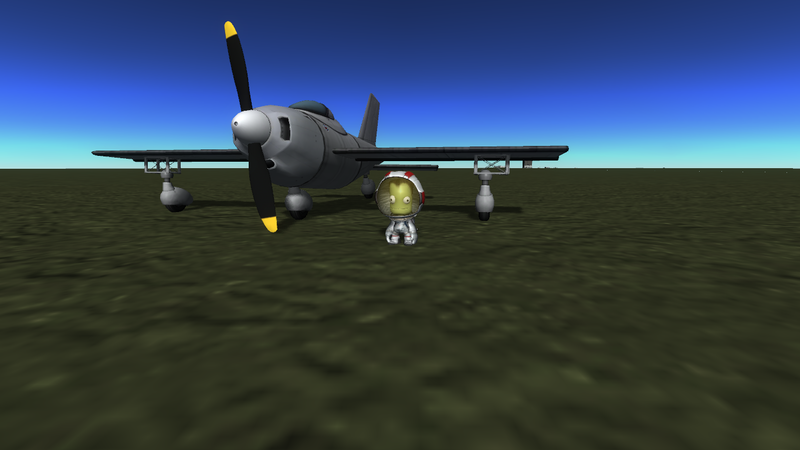 There are still some issues with the propellers during landing but it works. 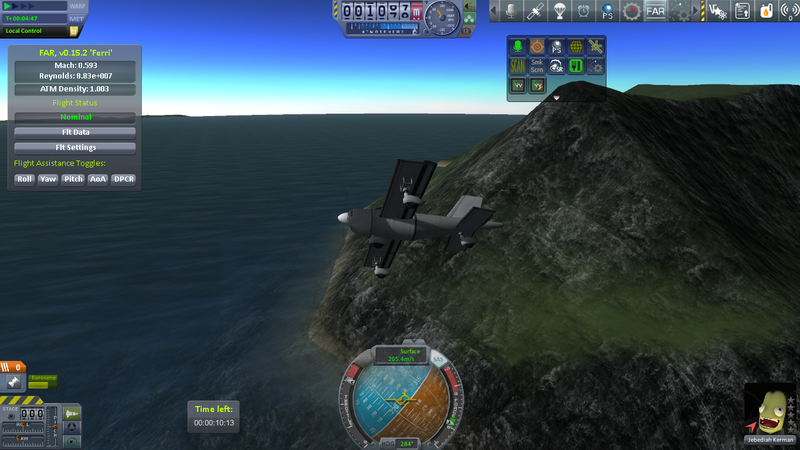 Jebediah is happy, even if it's just a simulation test. and that would be the real challenge. Thanks, Scytale. I attached it a bay to keep scientific equipment inside and avoid aerodynamics problems. In other news, yesterday I make my first landing on DCS World. I was making the tutorial and the guy stopped talking to me, so I decide to try it myself. (Kids, don't try this at home.) And I did it! Yeah, yeah, the plane now needs a full new set of wheels, and probably some expensive reparations too, and I'm pretty sure that if the tower operator were real it could have suffered a heart attack, but I survived, which is what counts, right? Right? 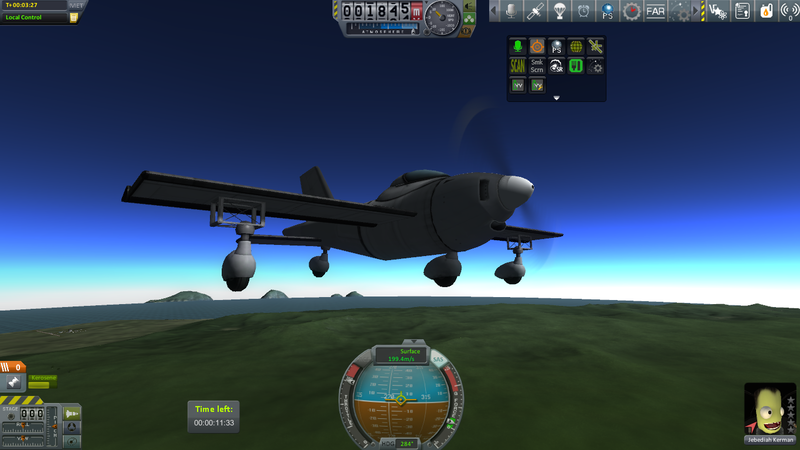 That's one happy Kerbal! Or maybe you just give them drugs before their flights? 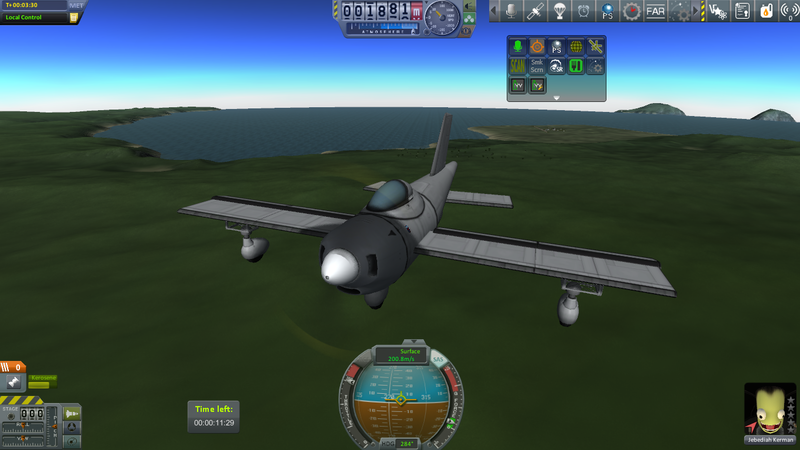 DWMagus wrote: That's one happy Kerbal! Or maybe you just give them drugs before their flights? That would be Kerbal Space Program William Gibson's Version: Kerbal Cyber Program. Kerbal Drug Program for kerbals with problems? Unrelated, but that gave my an idea: Could be interesting if kerbals would have a class and level system similar to the one on X-Com: Enemy Unknown/Enemy Within. Along with a similar personalization system would make the fact that kerbals can die much more interesting. (Besides, is a simple system, not over complicated. One common perk for every member of that class and then, every time a Kerbal gains a level, you have to choose between two new perks.) That way every kerbal would be different to any other, not just in appearance but in abilities too. Of course, if you want to go deeper in craziness, you can add cybernetic and/or genetic manipulation to the mix, but that's maybe too much. KSP was updated to 1.0.3, and it was already announced that 1.1 will have this exceptional game updated to Unity 5. I will need to temporarily remove most of my 108 mods. I have a copy of 1.0.2 that I can send you if you want it. After much time in the wilderness, I finally built another viable spaceplane. The Sparrow. 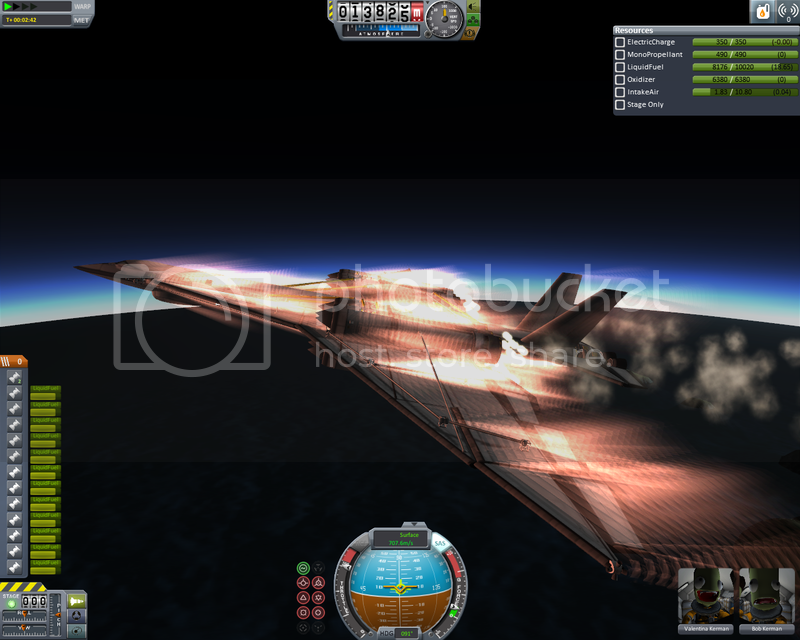 Admittedly, the solar panels, monopropellant tanks and nuclear generator-trons exploded on the way to orbit..... 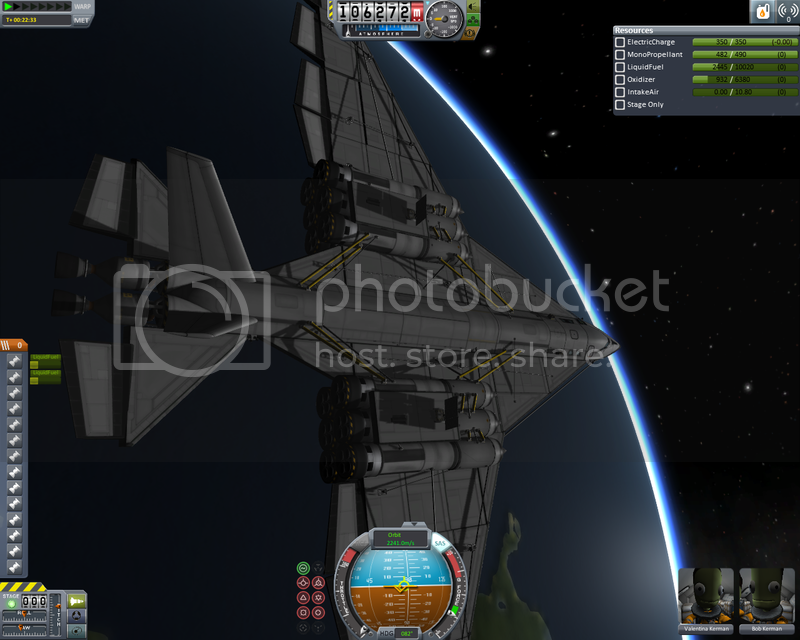 But it got into a stable orbit, and I would've landed it but I ran out of electricity. And fuel. And hope. And, turns out, is an excellent glider and is surprisingly durable at the end of the day. The cockpit and fuselage survived. Jeb and Bill will live to crash fly spaceplanes another day. 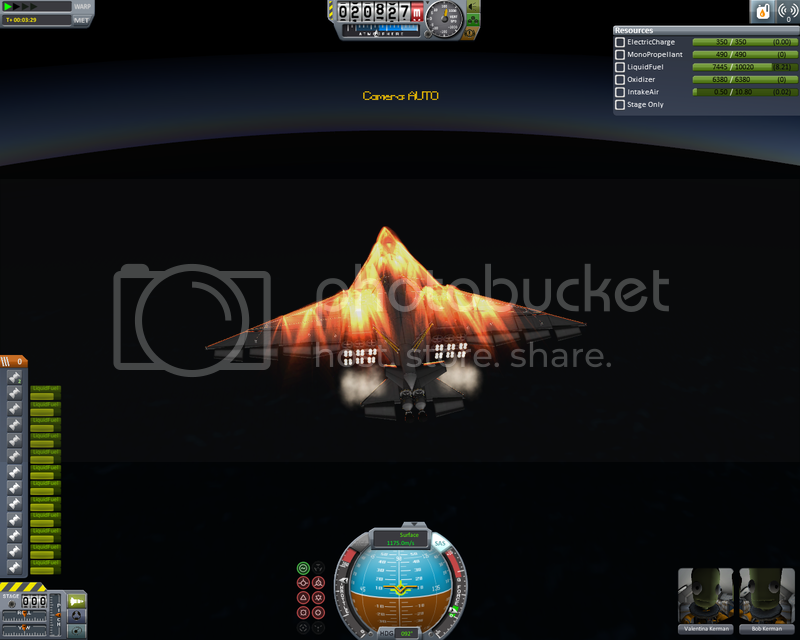 In a fit of random stupidity, I deleted all my rockets and spaceplanes. 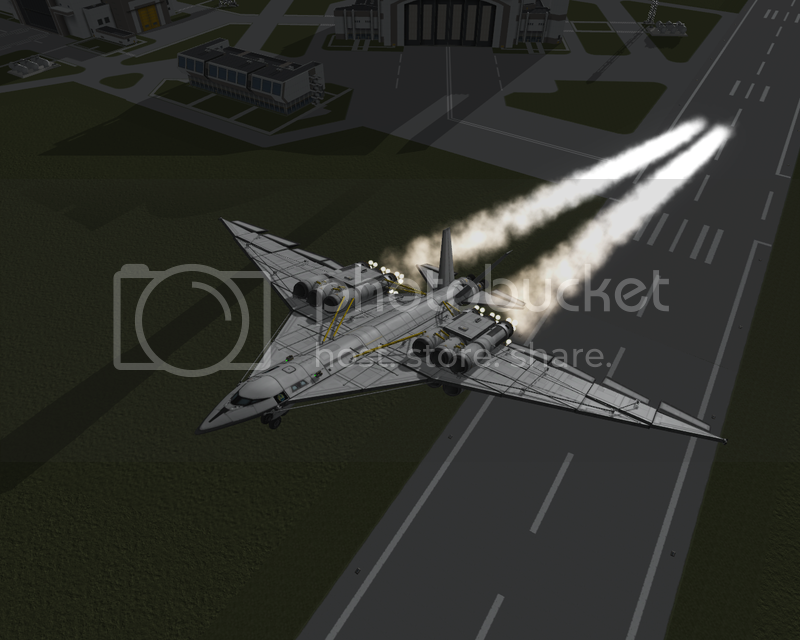 The above post was the first of a new breed of spaceplane. The second beat even my wildest expectations. For I had a dream. A dream of a new kind of spaceplane. Like the Vampire class of old, but better, faster, stronger. 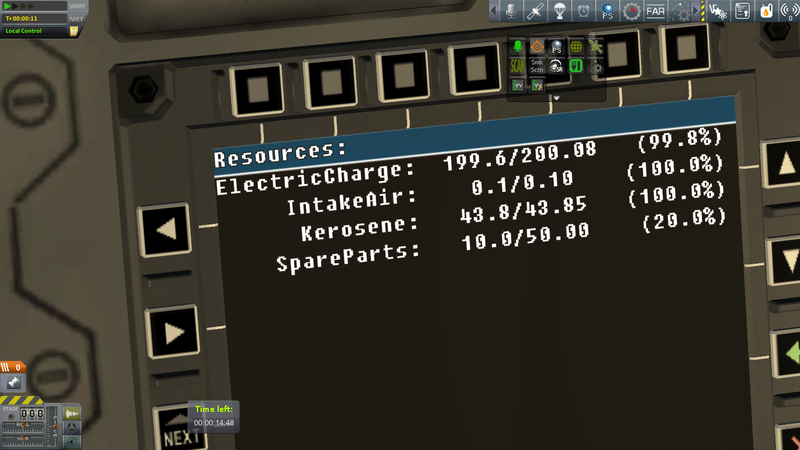 With more cargo, better interplanetary performance and acorns the ability to carry more Kerbals. 12 RAPIERs and a pair of LV-Ns power this monster. 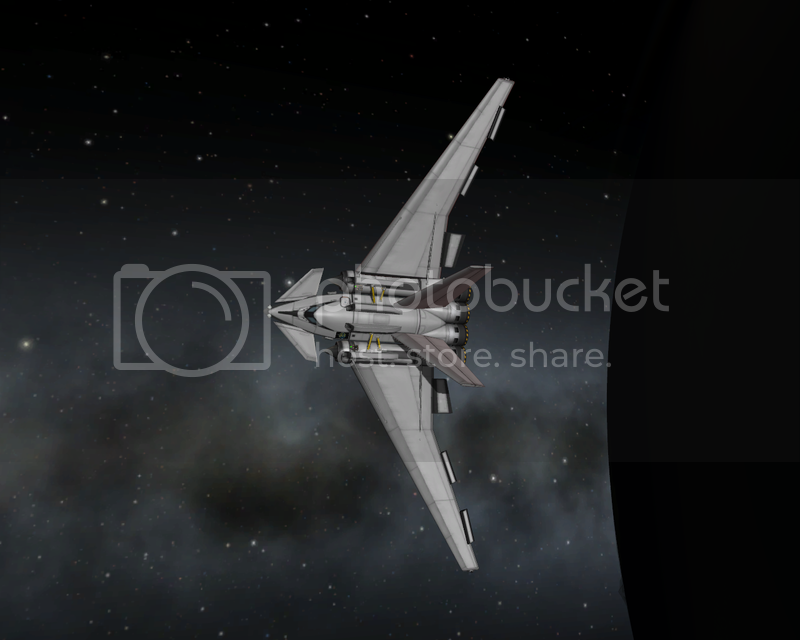 She has two long cargo bays, a crew capacity of six Kerbals and an Imperial Fuckton of fuel. Yup, that's done! Had to use the RAPIERs, but that's fine. I'll send a refueller later. She still has a fair bit of fuel.... Probably enough for a short trip. Obligatory picture without all the gadgets. 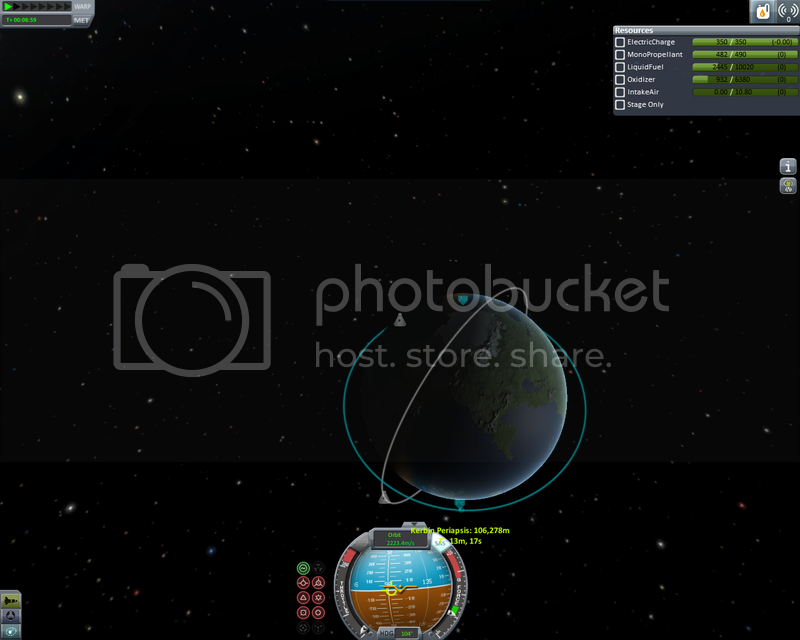 Sorry I didnt think to take pictures but I managed, for the first time, to land on the moon and come back to Kerbin. 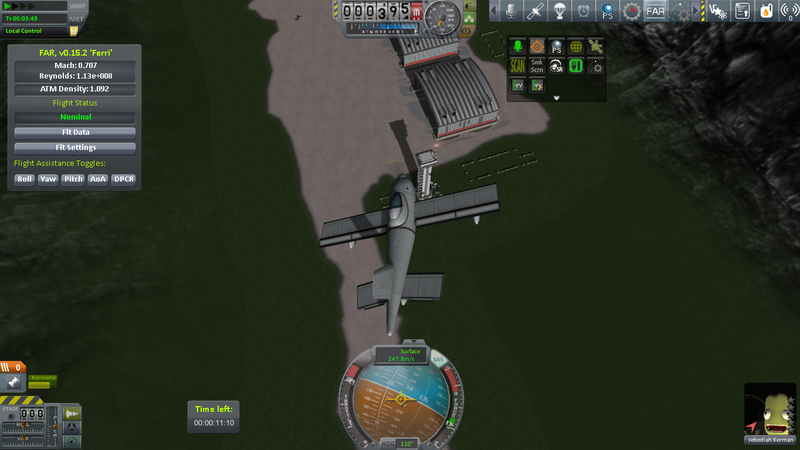 Ended up running out of fuel just as I landed. Impressive bird, My Lord Squirrel! 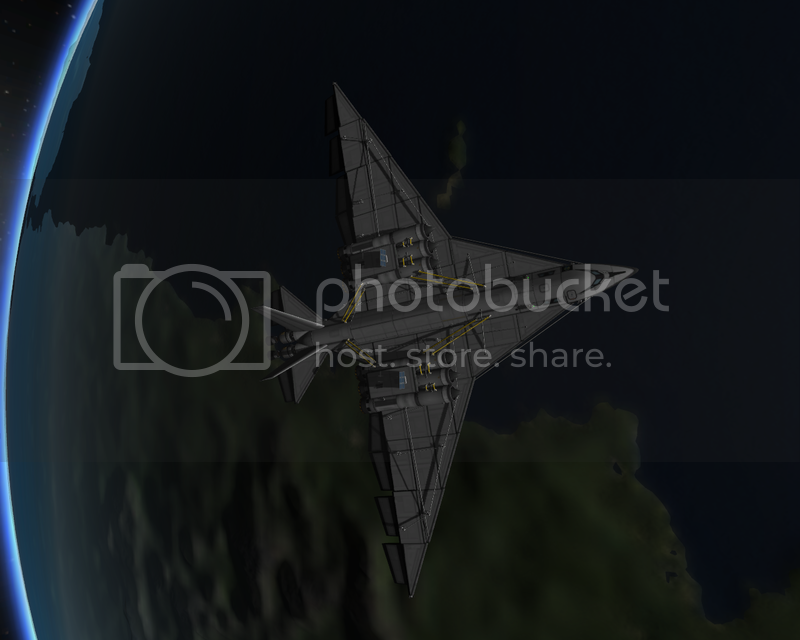 That's a seriously huge spaceplane. Bravo! Har, thanks, I'm surprised it didn't implode or anything. Hmm...I wanted to restart playing around with the Steam-Demo some time ago...but it seems, that the parts, you can use there, aren´t really made for going further than a Kerbin-Orbit...Gotta retry that today. 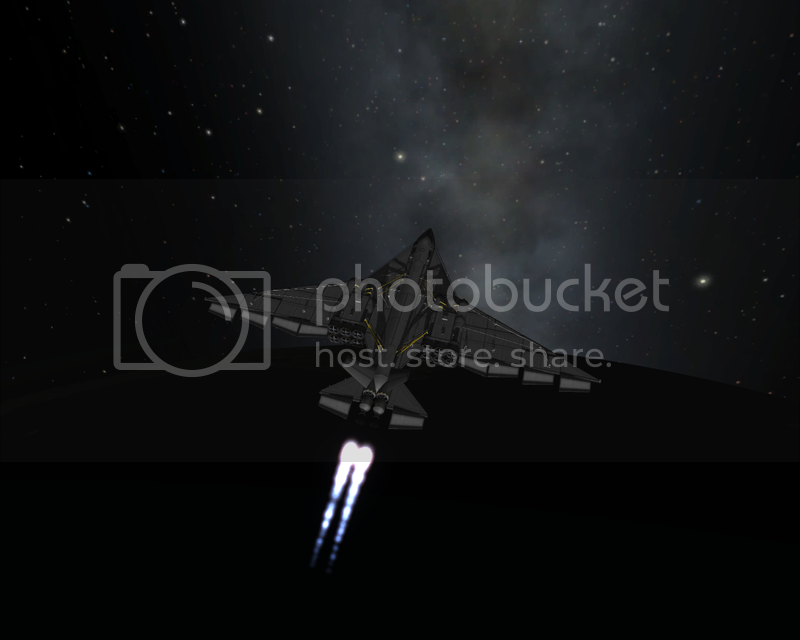 It is possible to get into orbit of the moon with the items supplied in the demo. It will take a little work, but I believe that you can do it. If you get stuck I can post a picture of the rocket that I used to get there. 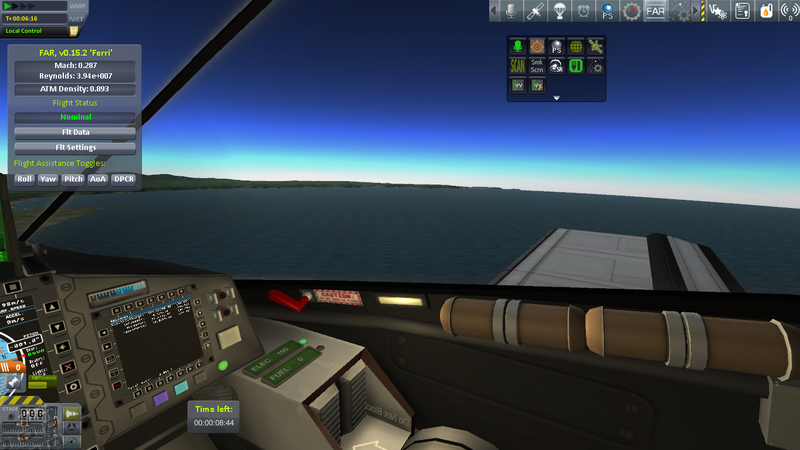 My rocket does need some tweaks though if you are planning on landing, or returning to Kerbin.